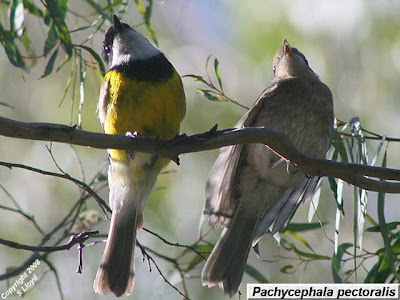 Male and juvenile golden whistler Pachycephala pectoralis, photographed by S. Lloyd. Female golden whistlers resemble the juveniles. 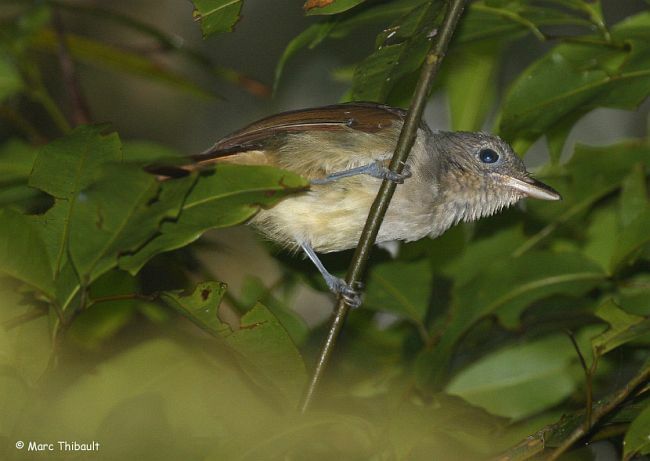 The name Pachycephalidae (or some orthographic variant thereof such as Pachycephalinae) has long been used to refer to a group of small insectivorous birds from the Australo-Papuan region (summarised by Boles 1979 as 'large-headed stout-bodied birds with poorly developed rictal bristles'). In the past, taxa included in the Pachycephalidae included the New Zealand genera Mohoua and Turnagra, the crested shriketit Falcunculus frontatus and the crested bellbird Oreoica gutturalis. However, as has often been the case with the more generalised groups of passerine birds, recent authors have tended to whittle the family's contents down as molecular studies have scattered the constituent taxa about the family tree. In its most recent iterations, Pachycephalidae generally corresponds to the taxa included in clade 'CC5CC6b' of Jetz et al. (2012), comprising primarily the genera Pachycephala and Colluricincla, plus a small number of satellite taxa. Bare-throated whistler Pachycephala nudigula, photographed by Lars Peterssen. 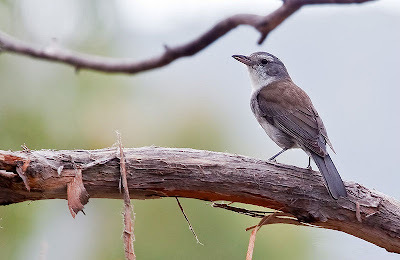 Grey shrike-thrush Colluricincla harmonica, photographed by Sammy Sam. Colluricincla, the shrike-thrushes, includes at least four species found in Australia and New Guinea (excluding a couple of species better included in Pachycephala). They are larger, slenderer and more narrow-headed than the whistlers, with less dimorphic coloration. The grey shrike-thrush C. harmonica of Australia has a high reputation as a singer. Some recent authors have also suggested inclusion of two further New Guinean species, the rusty pitohui Pitohui ferrugineus and white-bellied pitohui P. incertus, in Colluricincla. The genus Pitohui has been used to include a group of about half a dozen New Guinean species in the Pachycephalidae, which are relatively large and brash as pachycephalids go. They are variously reddish, black, or some combination of the two (the white-bellied pitohui has, as its name indicates, a yellowish-white underside). They have become most notorious in recent years for the discovery that, with the apparent exception of P. incertus, they are in fact toxic, with their skin and feathers containing batrachotoxins comparable to those found in the arrow-poison frogs of South America. Like the arrow-poison frogs, the birds probably do not generate the toxin themselves, but accumulate it from a diet of toxin-carrying melyrid beetles. However, molecular studies have indicated that the genus Pitohui as previously recognised is polyphyletic. The hooded pitohui P. dichrous and the variable pitohui P. kirhocephalus, the latter of which is the type species of the genus, are more closely related to the Oriolidae than the Pachycephalidae, while three species remain close to Pachycephala and Colluricincla. As well as the two species mentioned previously (which may be included in Colluricincla or maintained as a distinct genus for which the name Pseudorectes is available), the black pitohui 'Pitohui' nigrescens should be included in the Pachycephalidae as its own genus Melanorectes. As well as being closer to black than the reddish Pseudorectes species, Melanorectes nigrescens apparently possesses a 'peculiar musky smell' (Rothschild & Hartert 1913). Rusty pitohui Pseudorectes ferrugineus, photographed by Dubi Shapiro. The remaining two species of the Pachycephalidae are placed by Jønsson et al. 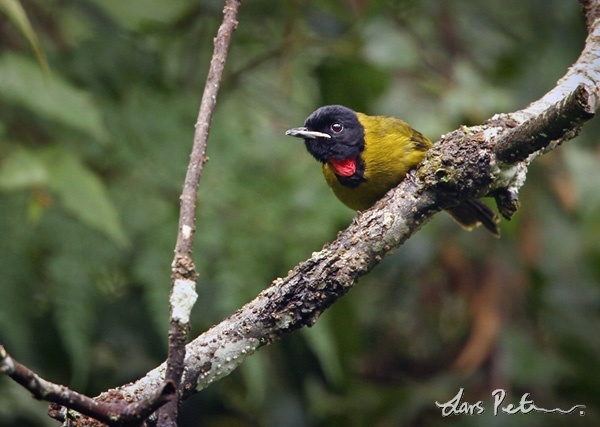 (2010) in the genus Coracornis: the maroon-backed whistler C. raveni of Sulawesi and the Sangihe shrike-thrush C. sanghirensis of Sangihe, north of Sulawesi (as the vernacular name suggests, this species was previously included in Colluricincla). Neither of these species appears to be particularly well-known: in particular, C. sanghirensis was first described in 1881 but not observed again for over 100 years until 1985 (Rozendaal & Lambert 1999). So long was the gap between observations that several authors had, in this time, assumed that the original specimen must have been mislabelled and come from somewhere in New Guinea rather than Sangihe. 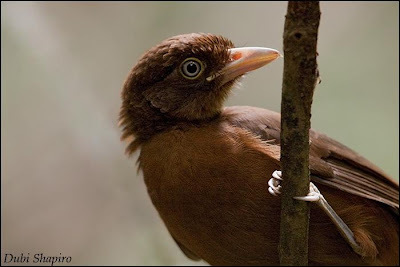 This misinterpretation was encouraged by the belief that the species was directly related to the little shrike-thrush Colluricincla megarhyncha, found on the wrong side of the Wallace line to easily colonise Sangihe. As it is, C. sanghirensis is restricted to only a small area of forest on Sangihe at an altitude above 600 m, and was regarded by Rozendaal & Lambert (1999) as critically endangered. Its identification with Coracornis rather than Colluricincla was done by Jønsson et al. (2010) on the basis of molecular analysis; when comparing C. sanghirensis with Colluricincla, Rozendaal & Lambert (1999) do not appear to have also considered Coracornis raveni. Sangihe shrike-thrush Coracornis sanghirensis, photographed by Marc Thibault. Boles, W, E. 1979. The relationships of the Australo-Papuan flycatchers. 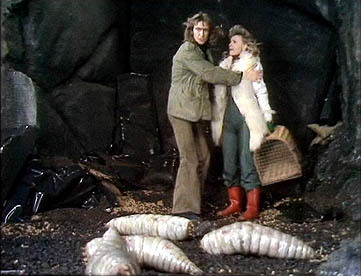 Emu 79: 107-110. Jetz, W., G. H. Thomas, J. B. Joy, K. Hartmann & A. O. Mooers. 2012. The global diversity of birds in space and time. Nature 491: 444-448. Jønsson, K. A., R. C. K. Bowie, R. G. Moyle, L. Christidis, J. A. Norman, B. W. Benz & J. Fjeldså. 2010. Historical biogeography of an Indo-Pacific passerine bird family (Pachycephalidae): different colonization patterns in the Indonesian and Melanesian archipelagos. 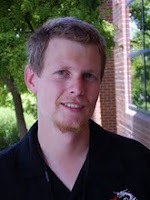 Journal of Biogeography 37: 245-257. Rothschild, W., & E. Hartert. 1913. List of the collections of birds made by Albert S. Meek in the lower ranges of the Snow Mountains, on the Eilanden River, and on Mount Goliath during the years 1910 and 1911. Novitates Zoologicae 20 (3): 473-527. Rozendaal, F. G., & F. R. Lambert. 1999. The taxonomic and conservation status of Pinarolestes sanghirensis Oustalet 1881. Forktail 15: 1-13.